AAA ALL FOR CARS will remove old cars and scrapped vehicles that are no longer in your use and taking up some valuable space in your backyard. Give us a call right now and make your home sweet again also you will be happier to know that you may also get cash for your old vehicle. So what are you waiting for, give us a call and get your vehicle removed. AAA ALL FOR CARS is offering cash for scrap vehicle. AAA ALL FOR CARS pride itself in giving the best customer service possible to get your junk car removed. You may have listened about AAA ALL FOR CARS best possible customers services that Remove vehicle used to get your car removed in minutes. 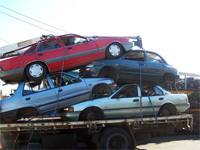 We specialise in car removal and we wrecks many type of cars at our workshop, we will provide you with transport and expert staff to collect your car where is possible, we will turn up your car into cash and free up you space at your home. And also we remove any scrap metal from your place for free. AAA ALL FOR CARS offer prompt, professional service at no charge and we will give you cash for any condition of vehicle. Is no more hard thing..pick up phone and call or email us at aaallforcars@hotmail.com we will contact you within one hour.